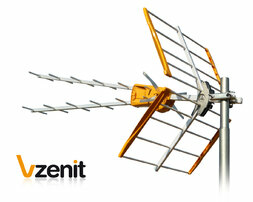 TELEVES "V"-ZENIT antenna implements Channel Selection Geometry (CSG) technology. 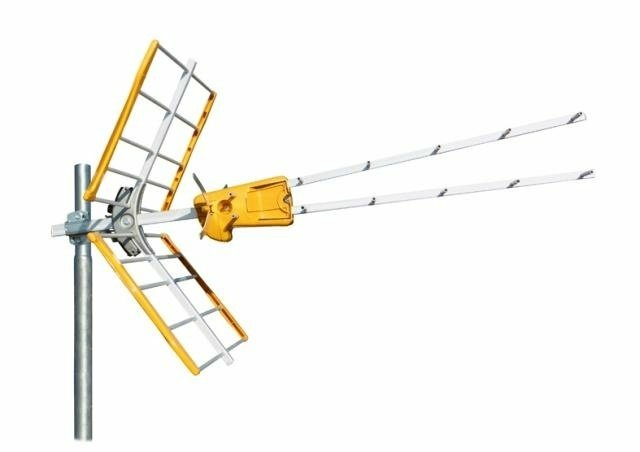 CSG Technology (channel selection geometry) is a new concept in the design and manufacture of TV antennas; the antenna can perform as an adjustable filter by means of changing its geometry. Three aerials in one. Change the position of the directors and modify the antenna frequency response and filter the bandwidth at channels 58, 59 or 60. - Special double "U" dipole, featuring an open/closed format, this matches the frequency response change. - 10 elements, rear reflector. - Innovative reflector assembly, quick and secure. - Made of high grade aluminium for longest lifespan. - An antenna for any channel plan, regardless of the upper cutoff channel. - Flat response in the UHF band. V Zenit LTE DVB-T Antenna from Televes packed in foil per 10pcs.